The first advent calendar I was dying to get my hands on was the. I wasn't sure this would even be available in Australia but when I saw my good friend Leah from Temporary Princess had gotten her hands on it, I knew it had to be available. I popped into store and voila - there it was. I was expecting it to be out of stock but they had plenty there. It wasn't even really advertised well in the store so it could be that most people walked right past it. This baby cost $55 in-store. The next advent calendar I really wanted was The Body Shop Advent Calendar. This is the cheaper, smaller version but equally as gorgeous as the other one. I really wanted this one last year but by the time I discovered it's existance it had been completely sold out. Not this time! This one retails for $139.00 and is available online and in-store. I didn't really hear about this one until I saw so many beauty bloggers posting about it. I love NYX Cosmetics so it was a bit of an impulse buy when I saw this still in stock - I mean, how could I resist? This looks super cute and I can't wait to show you what's inside. This one retails at $99 and is available in-store only at Priceline. Lastly, I couldn't help myself when I saw this adorable 12 Days of Christmas Boe Beauty Advent Calender. My local Big W doesn't stock cosmetics (which is really frustrating as I can't get my regular fix of Boe Cosmetics) but they surprisingly stocked this. At only $20 available in-store, how could I say no? I'm so exicted to get stuck into these ones. I'll be posting all my mini openings on Snapchat but I'll post a little recap each week of what I got on Instagram so that you all don't miss out - so make sure you're following me on both channels to keep up to date with what I get! 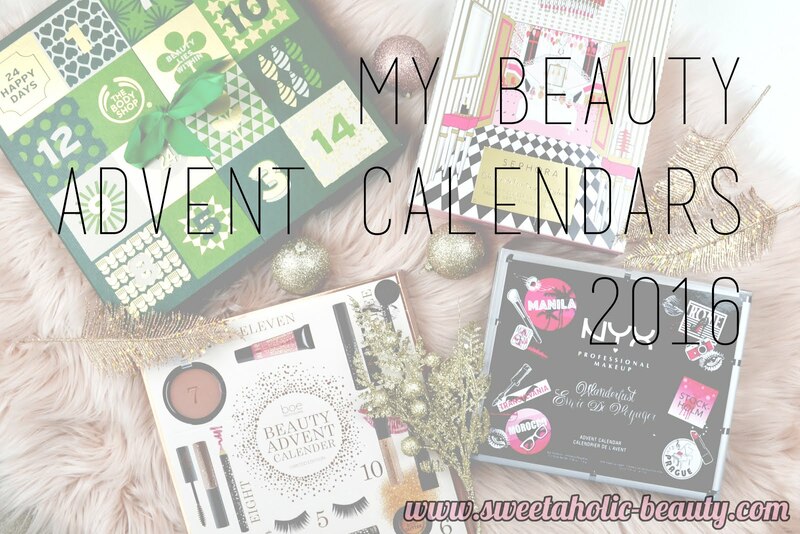 Have you grabbed any Beauty Advent Calendars this year? If so, which ones did you get? Are you keen on getting any next Christmas? These look amazing! I didn't get any beauty advent calendars as I'm trying to minimise my beauty stash a bit, so I'll have to be OK with watching my son open his chocolate calendars each day instead! 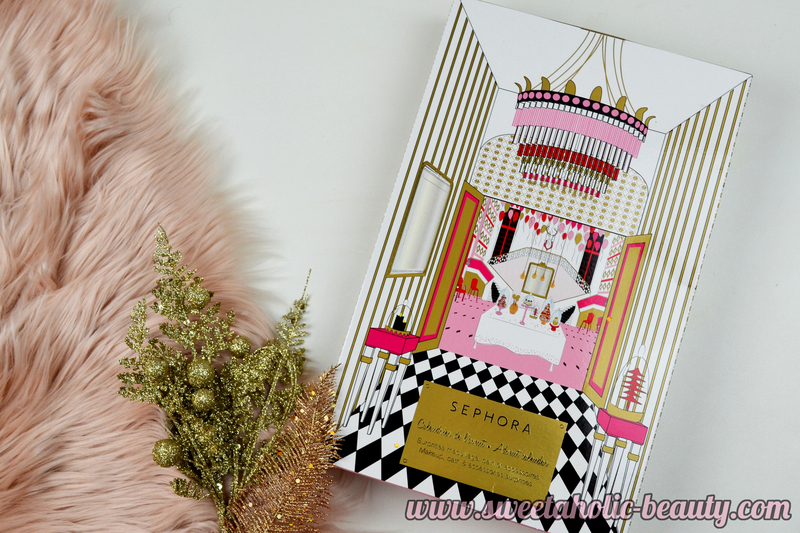 I haven't this year - didn't know Sephora were doing a beauty advent calendar here! I might think about it for next year & try & get in early for the Look Fantastic one. So many beautiful advent calendars this year!! They are all pretty exciting! The Nyx one looks really great! Wow! You will have so much fun between now and Christmas opening your special treats each day! I only got a Benefit 12 day advent calendar this year! love the nyx one ! I've been eyeing the Body Shop and Nyx ones, but have yet to get in store to see if they're still available! Love the look of the Boe one too. I can't believe I don't have any advent calendars this year, not even a choccy one! BTW babe, the photos are gorgeous! Ohh you have so many you lucky thing! I might go to Big W and get the $20 as a starting point for next year ;) Great post! I'm so jealous of the Nyx advent, I'm following a few people who are sharing daily photos and it looks so good! I love all the beauty advent calendars- especially the ones from the luxury brands which we seem to miss here in Aus :( Didn't know Sephora had one or NYX!